UPDATE 25 March 2019: We are currently experiencing an extended lead time: 6 weeks for new pumps. If you need something sooner, please reach out to your sales representative for options. Also, see our PUMP REPAIR section for expedite fee options - for both new pumps and pump repairs. We hope to be at normal levels in 4-5 weeks, with each week improving. Thanks for your patience. 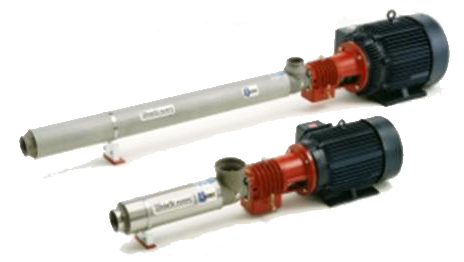 High-pressure multi-stage centrifugal pumps and membrane element housings from SUEZ are more than durable components. They are precision-engineered elements that play a critical role in customers' treatment systems. Our ruggedly built multi-stage pumps meet your requirements for general water applications, high-temperature performance, chemical compatibility, or quiet operation. Because our pumps set industry standards for reliability and low overall lifecycle costs, you can let them work without having to worry. SUEZ's world-class pumps come with stainless steel shells on every pump and options for Noryl™ impellers or stainless steel impellers. Use the Pump Wizard to find the pumps for your desired flow rate, boost and temperature. Search for a Tonkaflo pump by model, series, family or part number.